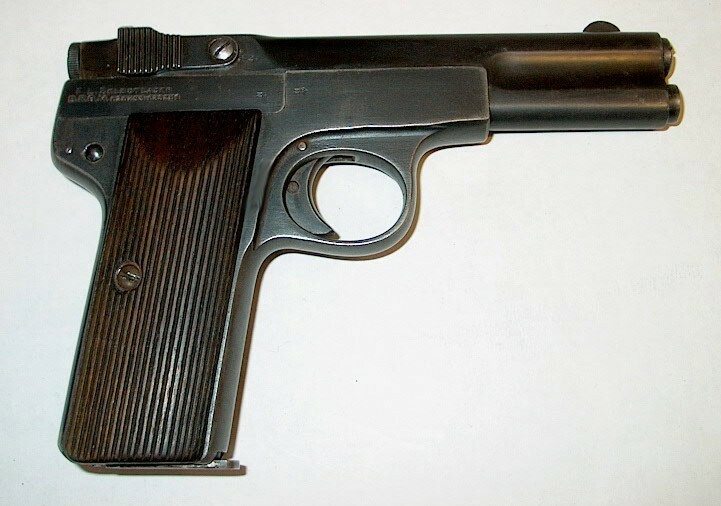 Post-World War One period German pocket pistol manufactured by Freidrich Langenhan's Gewehr- und Fahrradfabrik, Zella St. Basil. The design is a conventional blowback, with a breechblock being a separate unit . 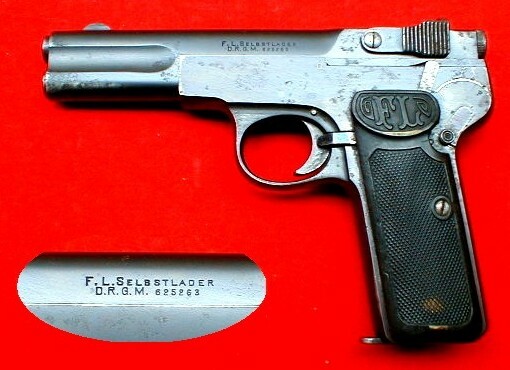 The pistol is basically a reduced scale version of Langenham FL-Selbstlader Armee Modell. 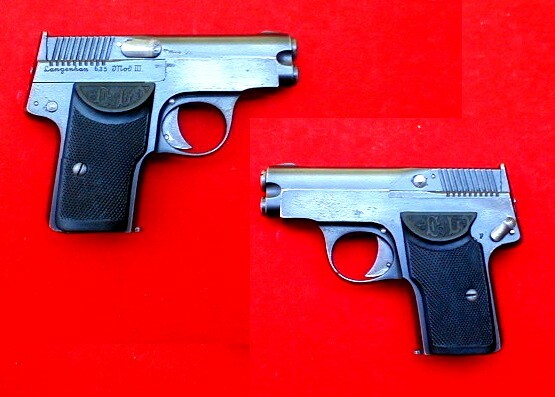 It is similar to Model II, except for a shorter magazine and minor changes to the action. 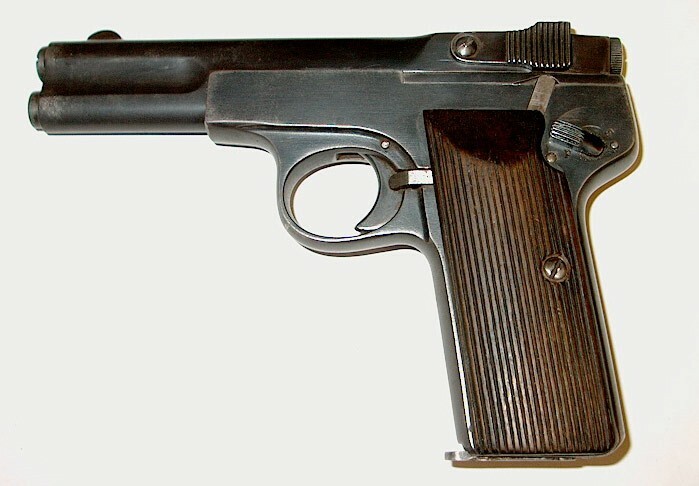 Production lasted until 1930-s.
World War One period German military pistol manufactured by Freidrich Langenhan's Gewehr- und Fahrradfabrik, Zella St. Basil. The design is a conventional blowback, with a breechblock being a separate unit. Production lasted from 1914 to 1917. 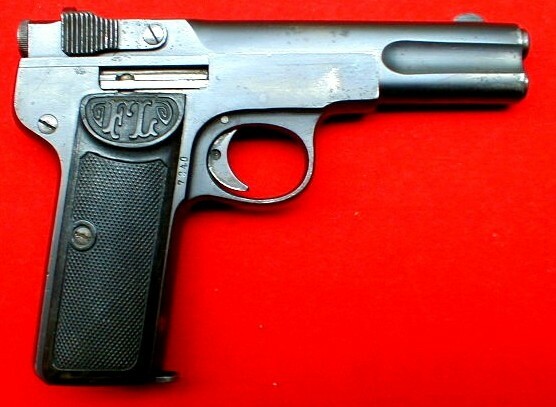 About 55.000 pistols were made for German Army during the World War One. This model was never sold commercially. Well made pistol with beautiful machining and polishing. Eight shot magazine.